WARSAW — A Fort Wayne man has been arrested for theft of over $1,000 in alcohol at Meijer, Warsaw, on Jan. 6, 2015. Carrington Jamall Hogue, 25, 4502 Monore Street, Fort Wayne, has been arrested and booked on an initial charge of theft, a level 6 felony. Warsaw Police responded to a theft in progress at Meijer on Jan. 6, where four to five black males and females loaded hundreds of dollars of liquor into trash bags and left in a black vehicle at a high rate of speed. Warsaw Police Officer Steven Rockey saw the vehicle and began to follow it. He then observed that vehicle abandoned at Clark and Roosevelt with four individuals running away. Officers located Hogue, Timothy Wilson Jr. and Lashanea Schimman out of breathe as if they had been running. Schimman reported the vehicle belonged to Nikita Beard. Further invesigation found an active arrest warrant out of Allen County on Hogue, resulting in his arrest. While police were transporting Schimman to the county jail, she received a phone call from Beard. She answered the phone on speaker. Police could hear Schimman admitting to Beard, they had been at Meijer and was on the highway going 80 miles per hour. Beard reported she had received a text message from Ernest Nelson telling her to report her vehicle stolen. A New Haven Police Officer was already at her residence. Winona Lake Police Officer John Leeper spoke with the New Haven officer, confirming Warsaw Police had custody of the vehicle. The New Haven officer stated she was called to the Beard residence to an unauthorized control of a vehicle and Beard said she had a text message from Nelson to report her car stolen and he, Nelson, was hiding. The officer took a photograph of the text message. Beard told police the individuals had been at her residence earlier that night and must have taken the keys to her vehicle. 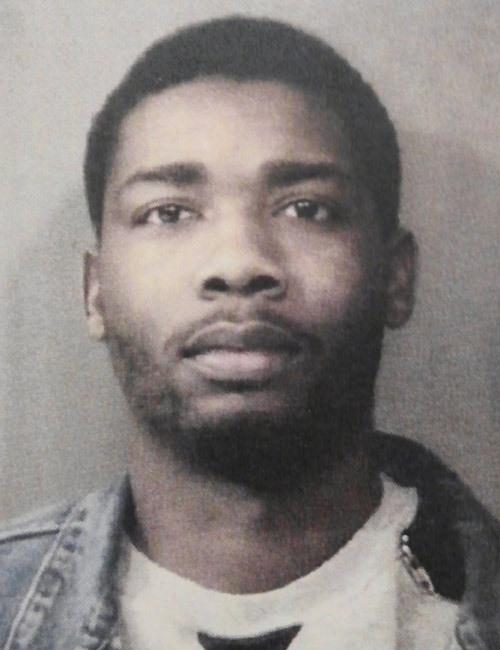 A short time later, in Warsaw, police located a female hiding behind a bush, identified as Shavondra Davis, who was identified by Meijer surveillance video as one of the individuals involved in the theft. After meeting with Meijer officials, police learned three males and a female entered the store with trash bags and loaded the bags with liquor. They then ran out of the store without paying. Meijer employees responded and the individuals left the bags full of liquor in the parking lot. The bags contained $1,647.05 of liquor. Through viewing of the surveillance camera, police were able to identify Hogue, Wilson, Davis and Nelson. Nelson was known by store employees. The others involved were identified by comparing the surveillance video to the individuals. Police could also see the vehicle with its lights on in the parking lot and the individuals running to the vehicle.